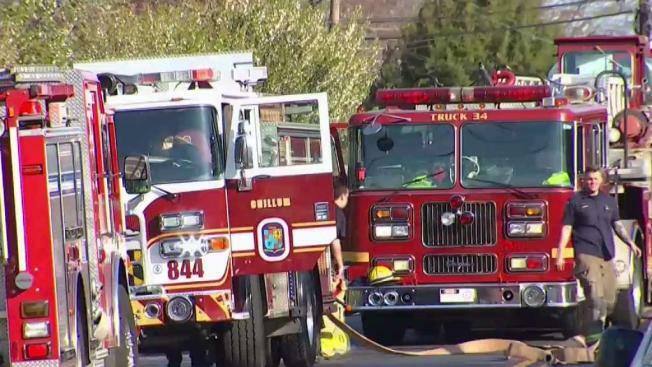 A woman whose body was found in a Maryland house fire in April was killed before the fire, the medical examiner determined. Jeanette Goines, 76, died of blunt force trauma. Her death was ruled a homicide. Firefighters were called to the 1400 block of Ray Road in Chillum about 7:40 a.m. April 14. Firefighters found Goines dead on the first floor of the home. About a half-hour earlier, police responded to an alarm at the home, but they found it secured with no signs of forced entry nor fire, according to Prince George's County police. The home had one working smoke alarm on the lower level, which was not positioned to immediately detect smoke on the upper floors and provide a timely warning, fire officials said.